You might be sitting there thinking that I'm crazy, but the truth is you're only partially right. You can get free text messaging for life, all for a cheap, one-time fee. But, how can that be possible? An exploit in AT&T's prepaid GoPhones is the culprit behind this sweet, oh-so rare opportunity for exploitation. 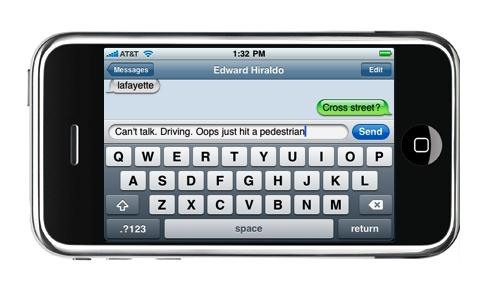 The exploit grants a lifetime of free texting, assuming that the company stays afloat from now until the end of time. Right now, the cheapest prepaid GoPhone runs for about $20. So, with the cards, you could go to Wal-Mart and pick up a phone and a card for under $50 and have an emergency phone for life. First, we need to prepare our GoPhone for activation. Follow the instructions that come with the phone to activate it. When you are prompted for a service plan type, pick the one that is described as "when you make outgoing calls, you will be charged". Make sure you use the following order when activating the service cards. Once activation is complete, so long as you make sure that your friends don't call you, and you do not make any outgoing calls, your phone will always have money on it. Thus, assuring that our unlimited texting card never runs out. Be careful on the road! im not so sure, ive never seen a card that gave u unlimited texting forever. the 1s i see online run out after a month ie a monthly paid feature. if the article were 2 link 2 such a card, then id b satisfied. im Googleing this, but cant find any cards that do that 4 forever. 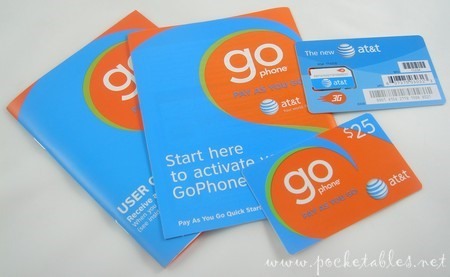 $25 GoPhone® Refill Card Easy, convenient way to refill your account. (Expires in 90 days).